We respect that you love your usual artist, but we want to see what the natural state of your lashes beneath that beautiful lash line looks like. If there is damage, we want to make sure not to further contribute, but instead give you a set that will look nice, while also nursing your lashes back to being strong and long so we can give you more of what you want, longer fuller lashes! Please don't take it the wrong way! We want you, but we don't want to insult you, and we don't want to say anything negative about the competition. We just need to see whats going on underneath so, we do not fill overtop other work. A new client starts fresh with us which includes removal, assessment & new set. Its not personal. It's in the best interest of your lashes. STRIPS & HAIR GLUE - a very common misuse of adhesive and lashes cut into smaller portions for a quick semi-permanent full set. CORRECTIVE LASH WORK using Volume to fill gaps where stronger lashes still exist. 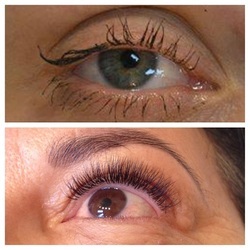 LASH LOSS - loss of lashes due to glue use and poor extension work over time. 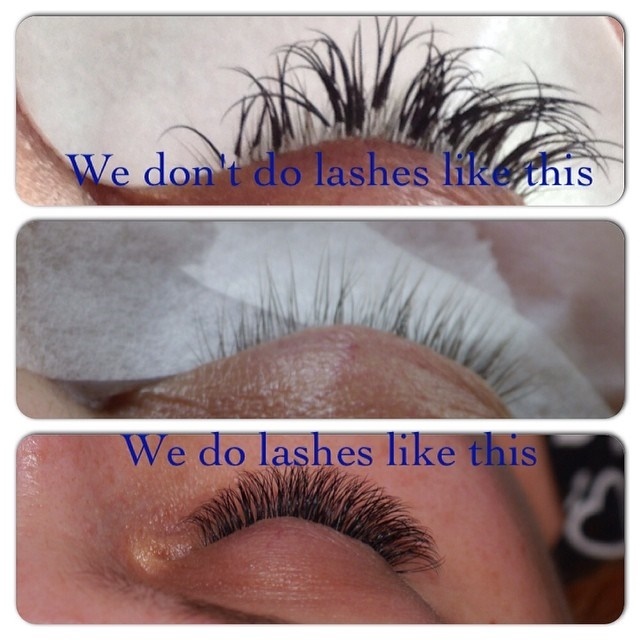 As an appointment only lash salon, we reserve and confirm your time for especially you. We turn away others that want that time because you confirmed first. Yours and our artists time are important and we have automated messages and alerts as a courtesy for reminding you of the appointment you confirmed with us. Please be mindful of your calendar and alerts so we don't have to have this uncomfortable conversation. We want you back and we don't want to charge, but we have to.